For suspended ceilings, or exposed bottom chords, or where ceiling battens do not provide restraint to bottom chords (e.g. metal furring channels clipped to trusses) the size and spacing of separate bottom chord ties shall comply with the approved specifications. 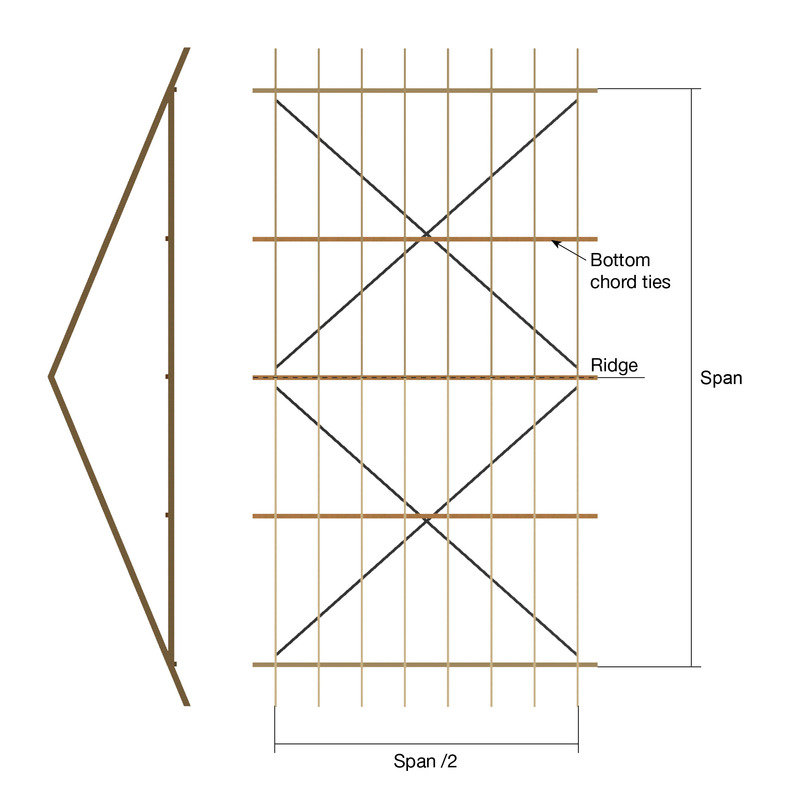 The bottom chord ties are not intended to replace the binders required to support the end wall. The bottom chord ties and bracing are intended only to restrain (i.e. to stop from buckling) truss bottom chords and do not provide lateral stability to the building to resist lateral wind loads. Buildings with suspended ceilings require additional bracing to ensure the lateral stability of the walls. The responsibility for the stability of the structure rests solely with the project engineer/building designer. These bottom chord ties are not designed to be a trafficable platform. 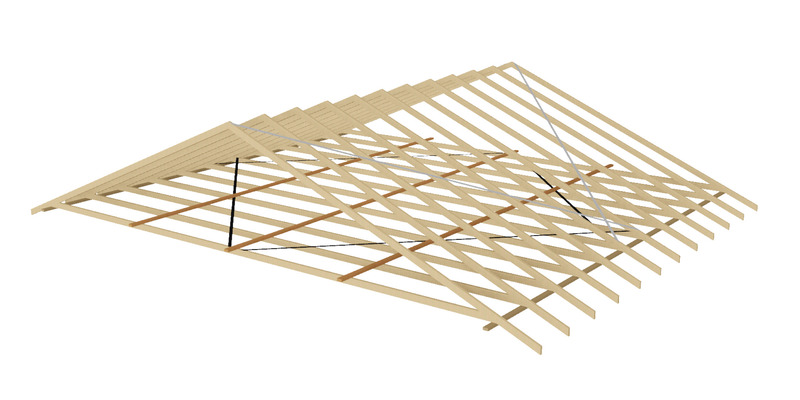 For trusses with ceiling directly fixed to truss bottom chords by glue or nails, or both, ties as temporary bracing to bottom chords are required until the ceiling is fully fixed in place. See section 7 for details. Where bottom chord ties are required, they shall be braced or fixed to a building element such as supporting walls, which in turn can transfer these bracing loads to the structure. 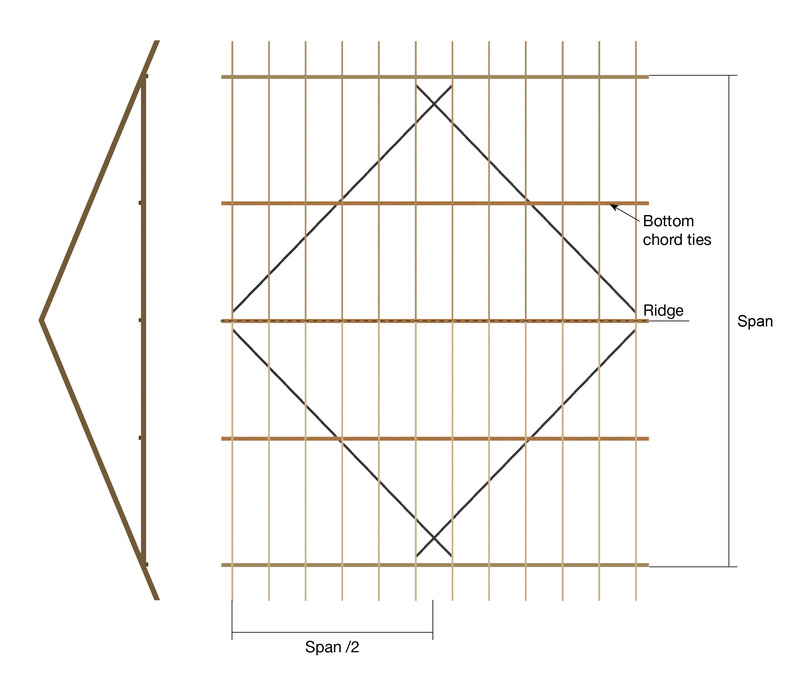 Steelbrace shall be at approximately 45° to wall top plates, see Figure below, and shall be fixed to each truss and to the wall in the same manner as for top chord brace fixing.